Writing for the Guardian, Ghaith Abdul-Ahad parallels a line of analysis on EA for months. The…commander in charge of the oil company in Shadadi, eastern Syria…was explaining the appeal of jihadi rule to the people of the newly captured town. The al-Nusra Front…defies the cliche of Islamist fighters around the Middle East plotting to establish Islamic caliphates from impoverished mountain hideaways. In north-eastern Syria, al-Nusra finds itself in command of massive silos of wheat, factories, oil and gas fields, fleets of looted government cars and a huge weapons arsenal. The commander talked about the services al-Nusra is providing to Shadadi’s residents. First, there is food: 225 sacks of wheat, baked into bread and delivered to the people every day through special teams in each neighbourhood. Then there is free electricity and water, which run all day throughout the town. There is also al-Nusra healthcare, provided from a small clinic that treats all comers, regardless of whether they have sworn allegiance to the emirate or not. Finally, there is order and the promise of swift justice, delivered according to sharia law by a handful of newly appointed judges. A few weeks before our visit, after a feud with a local tribe over oil, al-Nusra fighters had surrounded the village of Albu Saray and taken the whole male population of the village prisoner. A few of them were accused of killing an al-Nusra commander, and were executed, and many of the houses in the village were flattened. The Syrian National Coalition on Thursday said that it was “deeply concerned” by reports that US Congress could be delaying efforts by the Obama Administration to increase Washington’s support for the FSA. The Coalition said in a statement that it is “committed to ensuring that arms will not reach extremist elements” in Syria, and said that together with the FSA it had introduced measures to ensure that insurgent forces under its command could undergo “full and comprehensive vetting” which would be “strictly enforce[d]… to ensure that weapons remain in the control of moderate opposition forces”. The Coalition said accused Iran and Russia of supplying the weapons that the Assad regime is using in Homs and Aleppo. Activist Abu Rami al-Qosoor, a resident of the al-Qosoor district in Homs — who identifies himself by a pseudonym to avoid regime retaliation — has made a video message to Muslims from the besieged city. [The conflict] is not a matter of Syrians only — it matters to each Muslim person in the whole world. The whole international community and the rest of the world, the foreign world, the Arab world, the Muslim world are witnessing campaign against Sunni Muslims in Syria. It’s acted by Iran, Hezbollah, Syrian regime. The whole world is gathering against this small people inside Syria. But unfortunately nobody cares. Footage from Thursday shows the extent to which Homs’ historic Khalid ibn al-Walid Mosque has been destroyed by regime shelling. 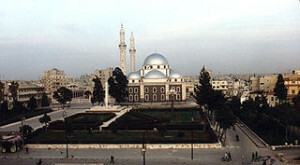 The mosque, built in a park on Hama Street in ash-Shuhada Square, is named for Khalid ibn al-Walid, an Arab military commander who led the Muslim conquest of Syria in the 7th century following the Battle of Yarmouk. The interior shrine containing al-Walid’s tomb dates back to the 11th century and is an important pilgrimage site. The exterior of the mosque was renovated in 1912. This image shows the mosque before it was shelled. Footage from Thursday shows extensive destruction in the Khalidiya neighborhood of Homs following regime shelling. Footage posted by activists on Thursday shows insurgents near the village of Zara in the Homs countryside with tanks and other weapons captured during a fierce battle with regime forces on Wednesday. According to activists, regime forces attempted to storm the village but were repelled. Footage posted on Thursday by activists purports to show civilians in Aleppo’s Bustan al-Qasr neighborhoods as they use a partially-constructed mosque to avoid regime sniper fire as they carry bags of food. Bustan al-Qasr is under insurgent control while the neighboring al-Masharqa neighborhood is under regime control. A narrow passageway, nicknamed the Rafah Crossing, separates the two neighborhoods. This video, also posted on Thursday, shows civilians in Bustan al-Qasr rushing to use the crossing when it is opened. The “Iran scare” theme is combined with Syria to produce a train wreck exclusive in USA Today. U.S. and Western weapons have been reaching Iranian-backed Shiite militias fighting to keep Bashar Assad’s forces in power in Syria. Analysts say it’s unclear if the weapons were captured, stolen or bought on the black market in Syria, Turkey, Iraq or Libya. Propaganda photographs from Shiite militias posted on dozens of websites and Facebook pages show the weapons were acquired in new condition, said Phillip Smyth, an analyst for Jihadology.net, a site affiliated with the Washington Institute for Near East Policy. Smyth — who starred in a satirical EA article last weekend, “Is Iran’s Qods Force Behind Tartous Summer Festival?” — claims to have studied “more than 30 online forums and 100 Facebook pages” to find “images of U.S. and Belgian weapons in the hands of members of various Iran-backed militias”. Liwa’a abu Fadl al-Abbas uses Iraqi, Lebanese and Afghan fighters. Liwa’a Zulfiqar uses Iraqi fighters who prefer working with Iraqi and Shiite commanders, under the leadership of Iranian Revolutionary Guard Corps rather than Syrian leadership. In fact, Smyth’s lengthy post for Jihadology asserts that “Liwa’a abu Fadl al-Abbas” is made up of Syrian, Lebanese, and Iraqi fighters and has links with Hezbollah — nowhere in his article is there any evidence for direct Iranian involvement. Similarly, Smyth’s recent presentation of “Liwa’a Zulfiqar”, made up primarily of Iraqi Shia, has no reference at all to “Iranian Revolutionary Guards Corps leadership”. Harmer said there’s a propaganda aspect to everything Iran does, and the images probably have a dual purpose, for both domestic and Western consumption. Unfortunately, USA Today does not post any of the claimed images of US weapons in the hands of the “Iranian-backed” brigades to test its case — it only displays an M-16 rifle and someone’s feet. Russia’s Ministry of Emergency Situations said Thursday that it has sent two planeloads of humanitarian aid to Palestinian refugees in Syria, ITAR-TASS reported. Oleg Voronov, a spokesman for the Ministry said that the two IL-76 planes each contained 35 tons of aid including food. 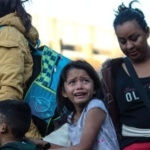 “The aid is on behalf of the government of the Russian Federation, and is aimed to provide humanitarian assistance to Palestinian refugees in Syria,” Voronov was quoted as saying. Syrian State news agency SANA also reported the dispatch of aid, and said that the planes had landed in Bassel al-Assad airport in Latakia. SANA cited a second Russian official as explaining that the aid was sent to to Palestinian people “with whom we side and support”. A report by Reuters on Wednesday found that Damascus residents faced difficulties finding staples such as yoghurt, while pitta bread was three times the price of a year ago. The Assad regime is attempting to address the food shortages including by passing a new law just last week, which bans the export of any food products out of Syria. Syrian President Bashar al-Assad on Thursday accused Baath party leaders removed from post earlier this week of making mistakes. Assad made his comments in the ruling Baath party’s official newspaper, the Al-Baath, days after announcing that the party’s former leaders — not including Assad — would be replaced with 16 new leaders. “When a leader does not solve a series of errors, this leader must be held accountable,” Assad — who is secretary general of the party — said. “This is the real role of the Party’s central committee, which is supposed to hold accountable the leaders on a regular basis. This did not happen in recent years,” he added. Footage posted on Thursday claims to show the construction of temporary homes in Arsal, Lebanon, for Syrian refugees who fled from Al Qusayr following its capture by regime forces assisted by Hezbollah. Arsal saw an influx of refugees from Al Qusayr both during and after the regime offensive on the town. Russian Foreign Minister Sergei Lavrov on Wednesday repeated claims that Moscow had evidence that suggested chemical weapons had been used in an area controlled by the Syrian opposition. Speaking at a press conference, Lavrov said that Russian experts had taken samples from Syria, and analyzed them in a laboratory in the Russian Federation that was certified by the Organization for the Prohibition of Chemical Weapons. “[Experts] came to the conclusion that the projectile and the sarin found in it were home-made…there are clear, unambiguous conclusions, based on commonly accepted criteria, that the characteristics of both the projectile and the sarin did not meet the standards used in industrial production,” he added. The United Nations has accepted the Assad regime’s invitation for talks in Damascus with two senior UN officials investigating claims of use of chemical weapons. The offer of talks was made to Swedish scientist Ake Sellstrom and Angela Kane, UN High Representative for Disarmament. Sellstrom and Kane have accepted the invitation “with a view to completing the consultations on the modalities of cooperation required for the proper, safe and efficient conduct of the UN mission to investigate allegations of the use of chemical weapons in Syria”, said a UN spokesperson. He did not give a date for the visit. The Assad regime has refused UN requests to investigate sites of claimed attacks, except for Khan al-Assal near Aleppo, where an incident allegedly occurred on 23 March. The development comes as Russian officials, including Foreign Minister Sergei Lavrov, claim they have presented the UN with evidence of chemical weapons use by insurgents at Khan al-Assal. The International Community is failing to aid the Syrian refugees in the Kurdish region of Iraq…. More than 160.000 Syrian refugees are currently seeking safety in Iraq, most of them in the Kurdish region. Domiz refugee camp, the only existing camp for Syrian refugees, is severely overcrowded. Infrastructure, including facilities for water and sanitation, are alarmingly insufficient, and ditches full of dirty water throughout the camp increases the risk of water borne diseases. In addition to the people in the camps, some 90.000 refugees are scattered in and around urban centres in the Kurdish region of Iraq. 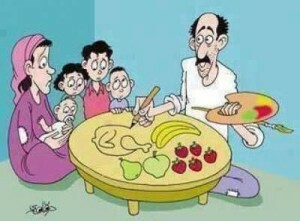 The refugees in the urban areas are receiving very limited support. The most vulnerable of them have no resources and no employment. Some of these refugees have occupied unfinished construction sites, and turned to begging and prostitution to survive. Footage posted on Thursday morning shows a large explosion in Zamalka, just east of the strategic Damascus neighborhood of Jobar and close to al-Qaboun, the sites of fierce fighting. 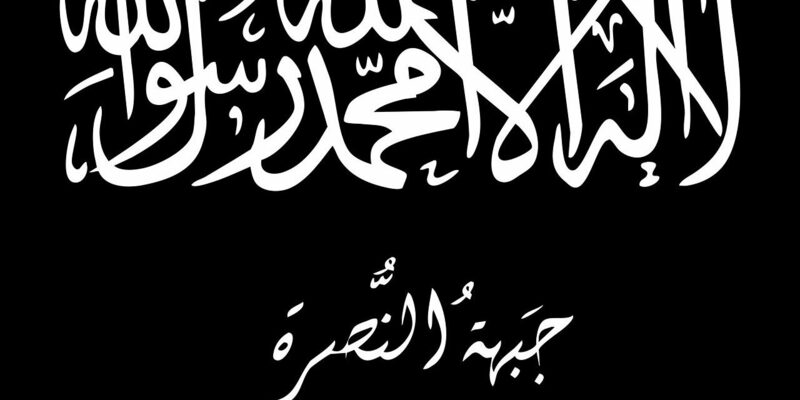 This spring, many media outlets proclaimed a “merger” between the Islamic State of Iraq and Jabhat al-Nusra, following statements by leaders of the two groups. EA’s Joanna Paraszczuk, reading the statements in Arabic carefully, took a different line: she argued that, far from accepting the merger, JAN rejected it and asserted their autonomy over operations and policy inside Syria. Subsequent events, with a fight between ISI and JAN for personnel and influence, have borne out that analysis. The foreign fighters –– Iraqis, Tunisians, Egyptians and others –– were angry with al-Nusra for not accepting the orders of the bigger emir of Iraq, he said. Eighty per cent of them had joined [ISI]. [A] former rebel commander personally organized two shipments of weapons by sea from Benghazi to the Turkish port of Iskenderun this year. The weapons were then transported over land, with the knowledge of Turkish authorities, to rebel forces controlling northern Syria. The two shipments each contained roughly 460 tons of goods — mainly weapons, but also humanitarian items. One left Benghazi five months ago; the second one sailed in June. The shipments included vehicles equipped with heavy machine guns, rocket-propelled grenade launchers, mortars, ammunition, and — most importantly — 120 SAM-7 missiles, along with their launchers. These surface-to-air systems have been responsible for bringing downing several Syrian regime aircraft this year. Amid reports of a collapsing Syrian pound, the Government’s Economic Micro Committee has approved a bill that punishes dealing in foreign currencies with fines and prison sentences of 3 to 10 years. State news agency SANA says the bill “seeks to prevent manipulation of prices in the market and curb exploitation of citizens’ needs”. The Syrian pound has fallen sharply since the beginning of the conflict and especially in the last month, with reports of up to 25% lost value in a single day. The Local Coordination Committees claim 93 people were killed on Wednesday, including 40 in Damascus and its suburbs, 17 in Aleppo Province, and 12 in Idlib Province. The Violations Documentation Center reports that 65,892 people have been slain since the start of the conflict in March 2011, an increase of 103 since Wednesday. Of these, 50,309 were civilians, a rise of 45 from yesterday.